How often do you read your bible? Enough? Not enough? Just a little? All the above? I fall into the latter category and when I did I always asked myself, yeah ok… but how does that prove Jesus was referenced in Genesis and how does this tie into this? Overall I think this book it worth its weight in gold and is very helpful during community groups, while at large group worship and has become quite the tool for me during my alone time with God. I am no longer considered “a new Christian” but love the fact that this has helped me continue to grow in God’s word. 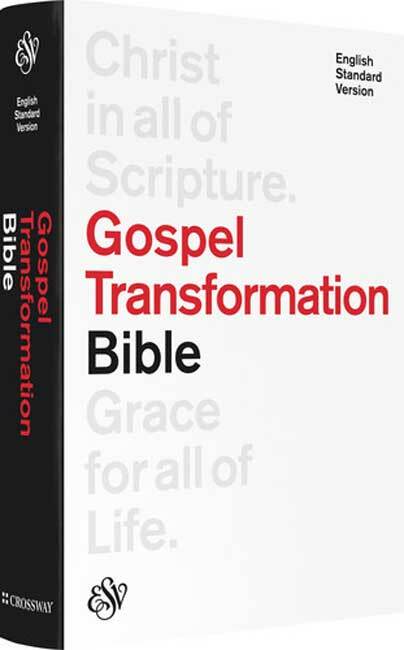 Throughout this bible you have a celebration of the gospel in every book, chapter and verse. If you don’t own a bible, I would highly suggest getting yourself ANY version, ANY translation, but also get an ESV Gospel Transformation Study Bible. It is worth it. Trust your life to Jesus and experience the power of the Gospel. A complimentary copy of this book was provided for review purposes by Crossway Publishing. I was not required to post a positive review and the views expressed in this review are my own. This review was originally posted on BattleBornNV website.